Custom Order...14 kt gold plate ear wires, gold tone sunburst clear crystal rhinestone charms, swarovski crystal round beads on 14 kt gold plate headpins and pear shaped swarvoski beads. Earrings are about 3 inches long. 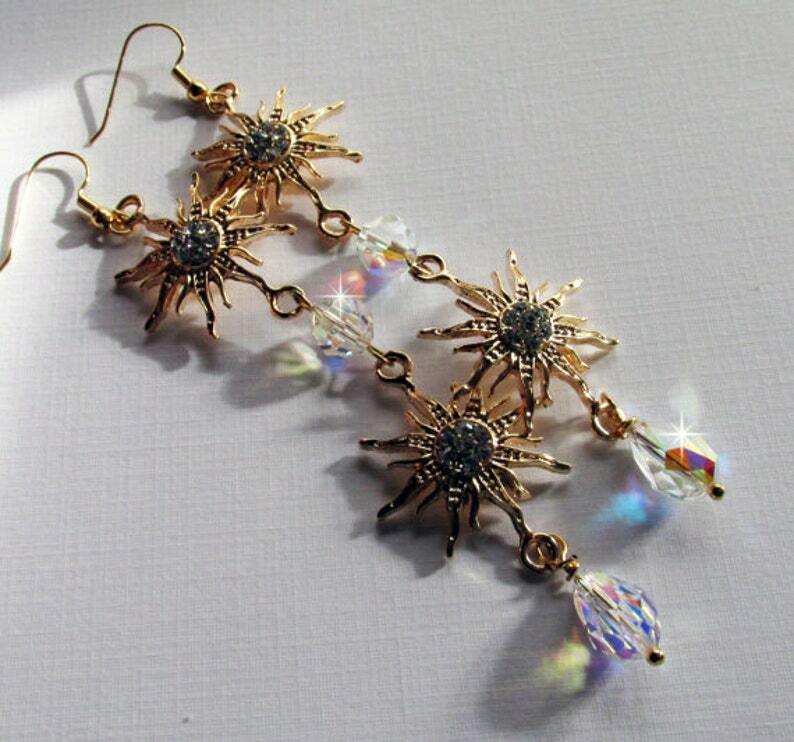 Beautiful earrings, great for everyday wear or theatrical performances.